The late national icon, Sir Bruce Forsyth, has received some criticism from some quarters about tax planning. I dreaded to think what sort of racy or cutting edge steps Bruce Forsyth had supposedly taken to reduce the tax burden of inheritance tax payable on his death. After all, as an octogenarian with assets of about 17 million pounds and well reported views to the press on the payment of inheritance tax, it would not be surprising to learn that Bruce Forsyth had taken legal advice from an expert wills and estate planning solicitor to protect his estate from the full force of inheritance tax payable on his death. It helps to answer the question ‘How much is inheritance tax? So what was the scheme that Bruce Forsyth was accused of joining? How much inheritance tax did he pay? Was it the same or similar to the tax regimes entered into by high profile footballers and comedians that are now the focus of so much criticism and investigation? Not at all. The supposed ‘tax device’ that Bruce Forsyth had employed was to leave the vast majority of his estate to his wife, Wilnelia. Most people would not think it unusual for a husband to leave his estate to his wife but in Bruce Forsyth’s case the size of his estate and the fact that he had 6 children, with his wife being stepmother to 5 of those children, led to questions in some sectors of the media about why he had not left money to his children. The answer to that question was, of course, to protect his family and to minimise the liability of his estate to pay inheritance tax. What is inheritance tax and how much is inheritance tax? Inheritance tax is paid upon a UK-domiciled person’s death if their estate exceeds their IHT threshold (known as the nil rate band). How much inheritance tax is payable? If a deceased’s estate amounts to in excess of the nil rate band then inheritance tax is payable at 40% by the estate. Are there exceptions to payment of inheritance tax? • Leaving the estate to a spouse or civil partner – no tax is payable on the death of the first spouse but tax will be payable on the death of the second spouse. There are complicated rules relating to inheritance tax planning such as rules on taper relief. The rules are also different if the deceased was not domiciled in the UK at the time of death. These tricky rules mean that it is always sensible to take professional legal advice on your Will and effective tax planning options. If you leave your estate to your spouse or civil partner then he or she will not pay inheritance tax on the bequest – even if the gift is in excess of the inheritance tax nil band rate. Sir Bruce Forsyth left his estate to his wife, Wilnelia. On the face of things that may seem odd given his wealth of about 17 million. However by leaving his estate to his wife no inheritance tax is payable. It is reported that in addition to the will (which is a public document after probate has been granted) a Letter of Wishes was also prepared to accompany the will. Sometimes Letters of Wishes are left because despite leaving the estate to a spouse the deceased wants his spouse to give money to their children or others. As the Letter of Wishes is private, the media do not know what the Letter of Wishes says. Bruce Forsyth could have asked for specific gifts to be made to his family and friends in this document or the Letter could have simply provided guidance on the sorts of things he wanted his wife to consider if she chose to give some of his wealth away. When planning for the future, it is common to think about what you would like to leave family and friends in your will, it helps people to answer the worry of how much inheritance tax will be. However, there may be things that you would like to say to people after death or gifts that you would like to make but only on a confidential private basis. A Letter of Wishes is a separate document to your will, but is typically stored alongside it so that it can be communicated to the right people after your death. A Letter of Wishes is not legally binding and does not carry the same legal force of a will. Therefore there is no guarantee that if you ask an executor of your will to do something in the Letter of Wishes or ask your spouse to give some of the inheritance left in the will to him or her that they will follow the instructions. That is why it is important that you carefully select your estate planning options and how they might work within your own family as well as carefully choosing the executors of your will. The content of a Letter of Wishes is as individual as the deceased. The Letter of Wishes is signed by the deceased setting out whatever the deceased wants to communicate to their executors or family members. A will becomes a public document if it goes to probate after the deceased’s death. A Letter of Wishes is a separate private document that remains confidential and not available for everyone to pursue. 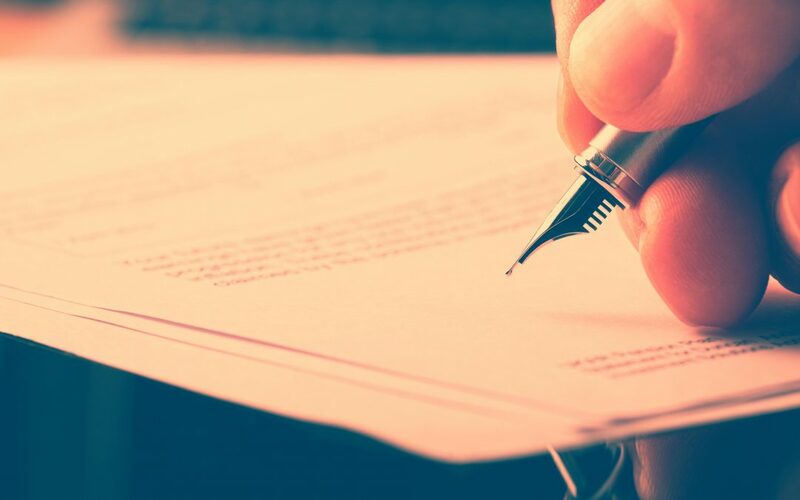 Many probate solicitors recommend the use of a Letter of Wishes to accompany a will so that the Letter of Wishes can be reviewed and changed without necessarily having to change the contents of the will. It is however always sensible to speak to your will and estate planning solicitor to check if any changes should be made to your will, especially if there are any significant life events (such as the arrival of grandchildren ) or a major change in assets. The decision to leave your entire estate to a spouse has to be carefully considered as it is not the right option for every family. If your wealth is not great it may be the case that your spouse will need all the estate. However if you are wealthy and your estate is likely to exceed your spouse’s lifetime needs then family relationships are a key consideration when deciding whether to leave all your estate to a spouse. Bruce Forsyth’s wife has always been reported as having a very close and loving relationship with her step children. That means that Sir Bruce Forsyth presumably had confidence that his wife would act on the Letter of Wishes that accompanied his will. Sadly that is not the case in all families as a spouse may not have a good relationship with his or her own children or stepchildren or the spouse might chose to remarry. That is why it is so important to balance the benefits of inheritance tax planning by leaving your estate to your spouse with the realities of the size of your estate and your individual family circumstances.